People use wire connection in the traditional gas monitoring system. 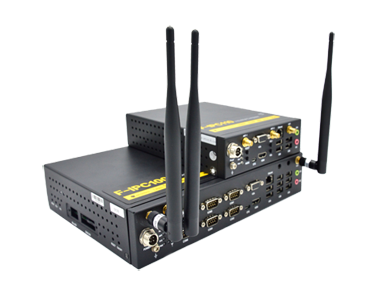 In order to simplify the connection, nowadays people would like to use wireless network instead. 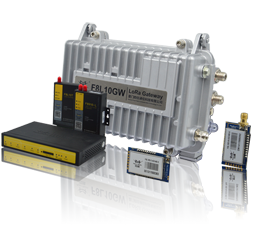 And in the short distance data transmission, F8914 Zigbee terminal enables data transferred in the Zigbee network. 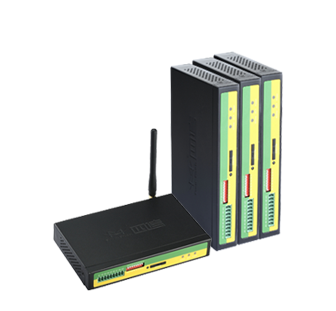 F8914 ZigBee terminal has RS232/RS485 interface, two digital inputs/outputs and three analog inputs. The gas sensor(4-20mA) is connected to the analog input of F8914. 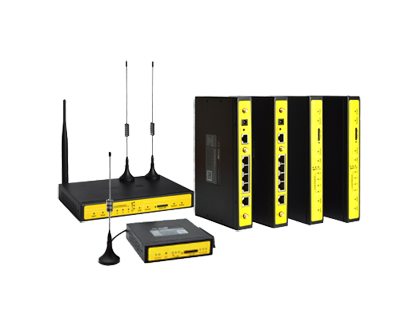 F8914 supports three node types, coordinator, routing and end device. 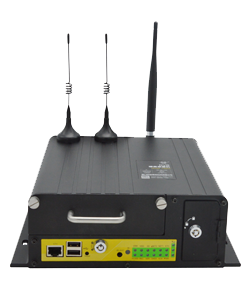 There is one coordinator in the ZigBee network. The central node is installed to the PC via RS232 at the control center. 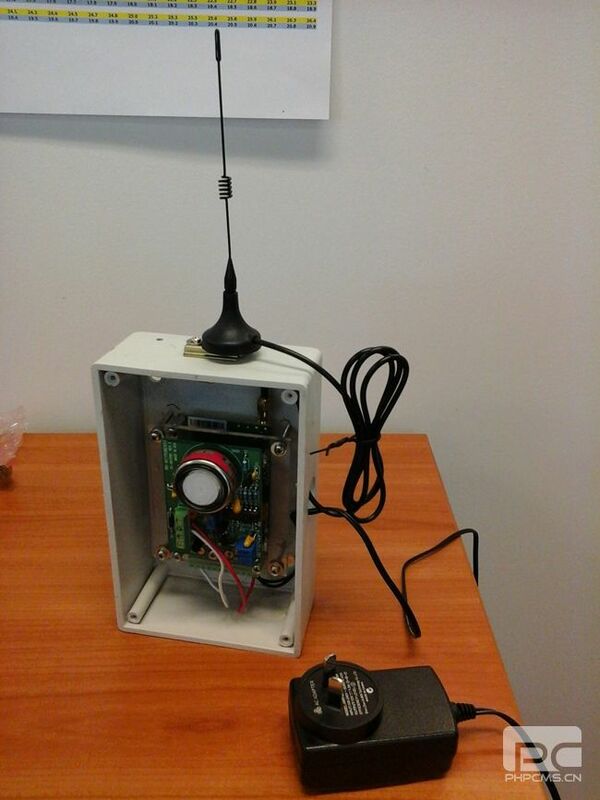 Request is sent from PC with central node connected via RS232 to the general node via ZigBee network to get the value of the gas sensor, and then the value is output from the RS232 port. 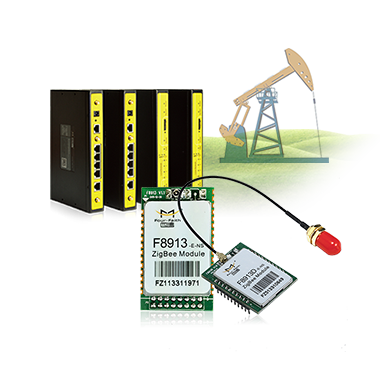 F8914 can also report the sensor value actively and regularly to the central node. 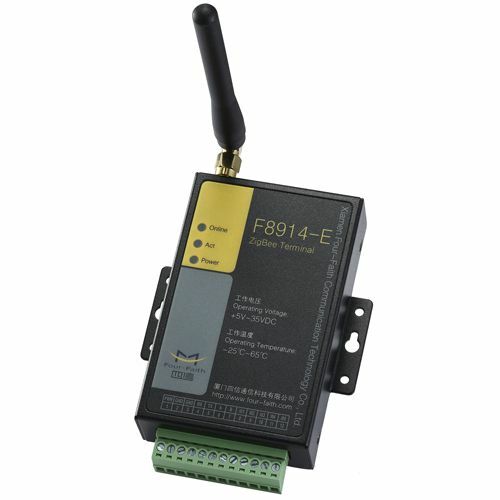 F8914 ZigBee terminal is used for small data and short distance transmission. 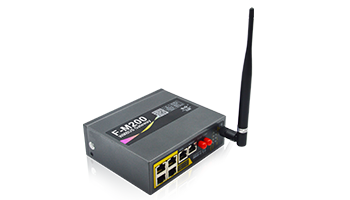 It supports joining the network automatically. 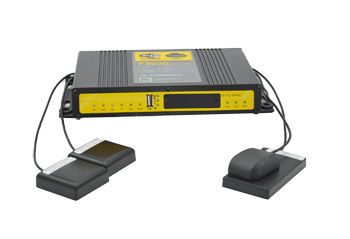 The routing type unit in the network acts as the repeater. Reporting the DIO/ADC value actively and regularly makes the system smarter, and sleep mode in end device decreases the power consumption. 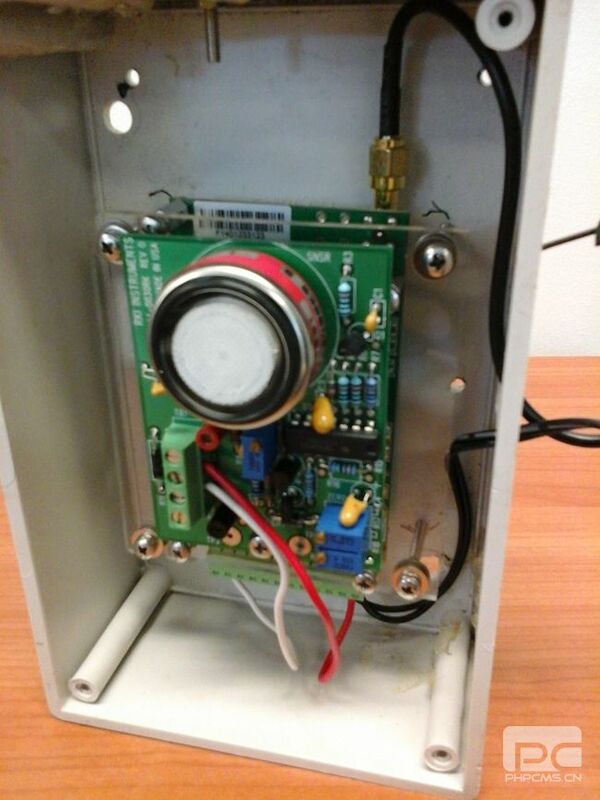 A system integrator in Australia bought F8914 to integrate with their gas sensor in a box for gas monitoring. The units are installed in a factory. 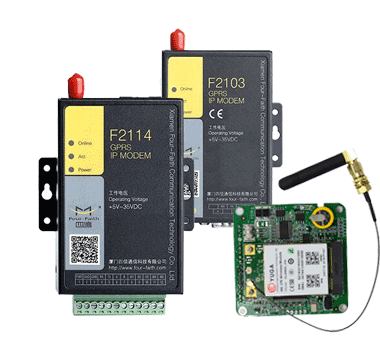 The general node F8914 is with gas sensor connected to analog input and the central node F8914 is connected to the PLC via RS232. 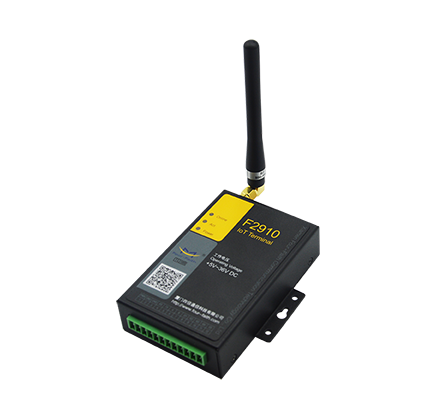 The general node reports the gas sensor value to the central node and then the value is output to the PLC via RS232. The PLC has program in it to analyze the value.